Are you in search of a truck that is versatile and dependable? 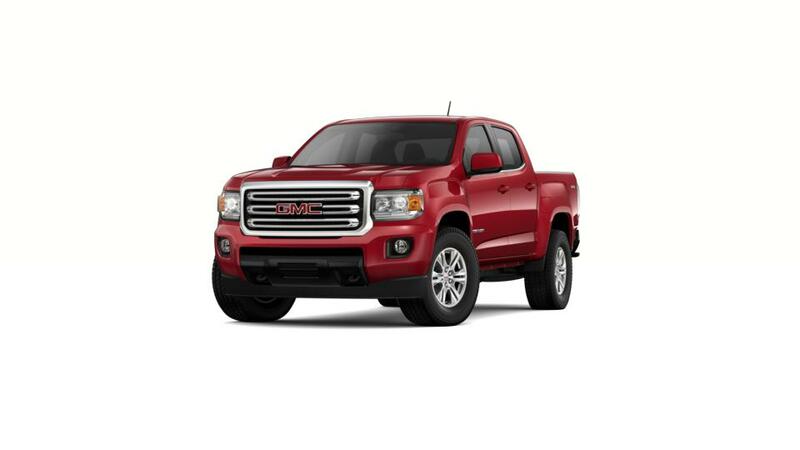 Then you should take a look at the all-new GMC Canyon, available for sale at your Buick, GMC dealer near Hagerstown and Martinsburg. With a max trailering capacity of 7,700 lbs., it is equipped to haul weighty loads with no trouble. This work-ready truck has an interior built with noise and vibration reduction in mind, so you will have a smooth and comfortable ride even on rough roads. Technology buffs can take advantage of an available built-in 4G Wi-Fi hotspot and the functionality to connect up to seven devices to access contacts and apps on the go. Make this vehicle truly yours. Pay a visit to your local Buick and GMC dealer. Shop our inventory of new Canyon models in Frederick to discover the trim, colors, and features that are best for you. If you wish to learn more about the buying and leasing options available at our dealership, then give us a call at 240-575-1848 or contact us online. We also have some a large selection of new Buick, GMC models for sale at our dealership. View the hours and directions page and pay a visit to our dealership today!